When is a computer idle? A friend of mine asked me that question the other day after playing around with the Windows Task Scheduler for a while. One of the conditions that the Task Scheduler supports is the "on idle" condition; it executes the given task if the computer has been idle for a given amount of time. The same "idle" setting is used in the power options when it comes to sleep settings. But what exactly does idle mean? I had troubles answering the question. I knew that it had to do with the resource utilization and user interaction, but was not able to provide exact definitions. When did Windows "believe" that the system was idle? When there was zero CPU or disk activity for a period? The computer is considered to be idle by Windows if there has not been user interaction via the mouse or keyboard for a given time and if the hard drives and processors have been idle more than 90% of that time. 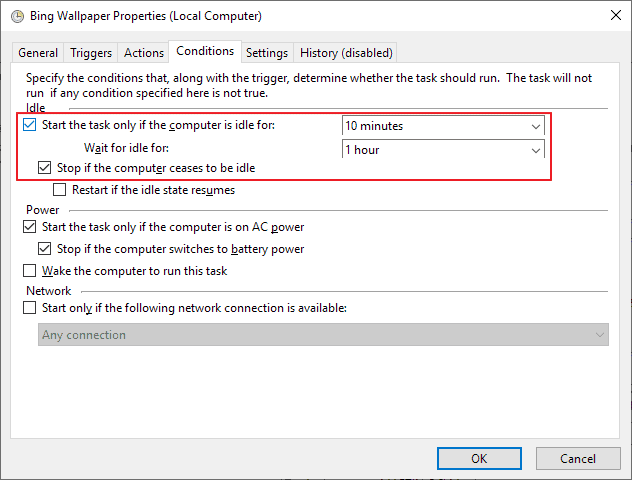 The Task Scheduler in Windows 7 for instance considers the computer to be idle if the above states returned true for a period of ten minutes. There are a few exceptions to that rule. Applications may set a flag that prevents the computer from idle mode. This can be the case for video streaming apps, presentation software, or games among other types of applications. Another possibility are low priority processes that may be ignored by the Windows 7 Task Scheduler. But that appears to be a Windows 7 only rule. Additional information about Task Idle conditions are available at a Microsoft MSDN Library page. When is a computer idle? Windows uses the term idle when it comes to running tasks on the system or turning off the display or hard drives. Microsoft have a very lousy sense of “idle”. I have a newsreader automatically downloading files. Harddrive is definitely busy. But the system goes to sleep because it’s “idle”. What does it mean idle for the CPU? 0%, 1% or what? ?